One of the biggest mistakes most real estate investors make, it waiting too long to outsource. I know I was guilty of this. Let’s face it: one person cannot do everything. We need help if our businesses are to grow and thrive! In fact I would go so far as to say “outsource or die”. So what do you do if you can’t hire an employee right out of the box (which by the way most people can’t do)? You need to look at outsourcing sooner rather than later. Plan to start small, but make a plan now and get started. Successful businesses are rarely ones that are “solopreneurs” forever. My goal with these upcoming posts is to make it easier for you to “let go” of some of the work, and to show you that it can be very affordable. Remember that you have to create a plan and just take baby steps toward your goal. You won’t get there without a plan, so make that your first step. Creating the work for a VA so that I can grow my business faster, or waiting to hire someone until I have grown my business and I am swamped? Most folks with choose the second option. They will try to do it all until they feel like they are drowning. Hello; this is the “voice of experience” speaking. I would like to propose to you that it should actually be the first option. Outsource something early on that will create leads and revenue for your business. This is probably the time to point out that it’s much easier to create these systems and procedures when you are not so busy. But… I Can’t Afford It. You can get a quality virtual assistant for $3 or $4 per hour, and I will go into that as we put together your plan. You can also find local folks to help out such as college students and stay at home moms. Over the course of the next few weeks, you can look for a post from me each week that will help you put together a plan for your business. This is important because no two real estate businesses are alike. The plan you create for your business will be unique to your particular situation. If you have specific questions along the way, just leave me a message in the comments section of the blog and I will answer them. If you know someone that could benefit from this series, be sure to let them know. See you next Tuesday. I just read “Success Principles” by Jack Canfield (now my top five book of all time) and also am almost finished with teh 4 Hour Work Week by Tim Ferris. Definitely about to enjoy reading these post about outsourcing work and creating more time to do the things that are important to me and my business! Thanks for all your posts! Thanks for stopping by Junior. I love both of those books. I have used my Success Principles like a text book, and I like to revisit it often. I love his books Gary. Do you take all of your direct mail calls or have an employee make prelqualify? I don’t have any employees, so I take the call. I do have a VA, but I don’t want her doing that. Have you tried fiverr.com for VA or other outsourcing services? I have been using fiverr.com last few months outsourcing different task for my biz. It works very well. Every job starts at $5. It works like ebay but it is for service. People give rating to the seller/service providers. They have different level rating like level 1, level 2, and top rate sellers…….They have writers, SEO service, website service, video editing, translation, teaching, coaching, VA, market research and etc. Ken – I have probably used fiverr more than 60 times. I mentioned them in another part of this series. Thanks for stopping by. 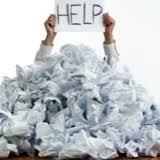 One question that I have about outsourcing is: which tasks would I assign to a virtual assistant? I’m going to cover that Terry. It was one of the toughest things for me to figure out. Should be a great series of posts. Looking forward to it! Thanks Gary. I hope it will help folks take the “outsourcing leap”. I will be looking forward in the coming weeks for the rest. Stay tuned Darwin. Thanks for stopping by!